Soft economic times required hard action to help local merchants survive. 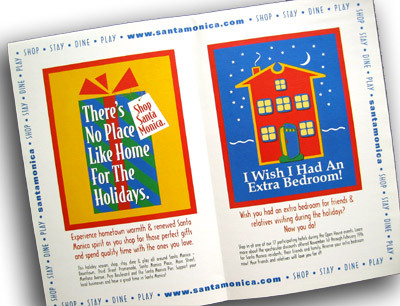 The Santa Monica Convention & Visitors Bureau asked TGIF to develop a comprehensive mailer that would go out to over 60,000 residents in the town to help them discover the joys of shopping in their own home town during the holidays. 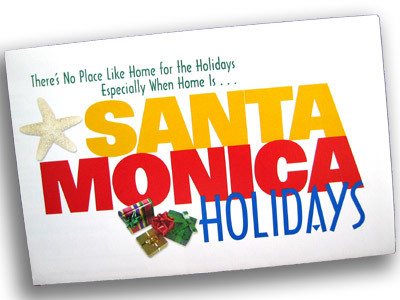 An additional element - the "I Wish I Had an Extra Bedroom" promoted the availability of special rates at area hotels for guests of Santa Monica residents during the holidays. In addition, the flyer provided a calendar of all the special events scheduled in each of the shopping districts and the special offers available in various shops and restaurants during the promotion. The promotion was deemed to be so successful that it was repeated again the following year to great acclaim. 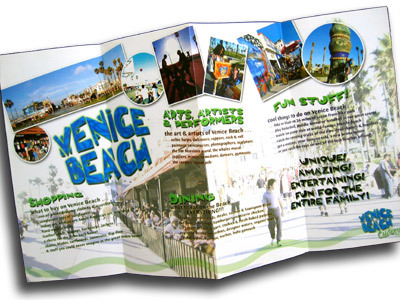 The Venice Beach BoardWalk Association was looking for a way to put the appeal of their unique attraction in the hands of thousands of LA Metro area visitors. 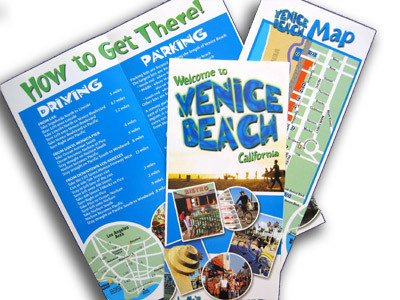 This brochure, designed for the literature rack at various hotels, restaurants, rental car agencies and retail outlets through Southern California created a real sense of place by promoting all the out-of-the-ordinary aspects of the Venice Beach Boardwalk as well as how to get there with maps, directions, parking and bus information. With photography shot by TGIF Creative Director, Bob Friday, the brochure created an excitement and attitude that perfectly matched the eclectic nature of LA's #1 tourist destination.